Have you ever felt so heartbroken that your heart felt broken into pieces? If so, you are not alone. 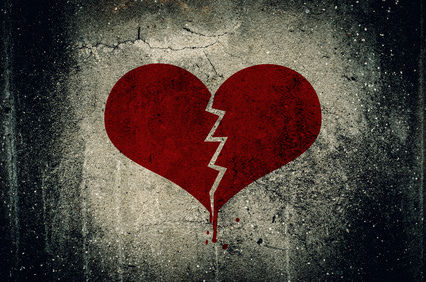 Over 90% of people walk around each day with a broken heart. You probably wonder how this is possible and how you people cope in such a state. The answer to this question is simple: "They have a Heart Wall!" The Heart Wall is a protective shield that your subconscious mind builds around your heart during times of intense heartache or heartbreak. This protective wall is made of negative emotions that got trapped as a result of painful experiences, emotional trauma and heartache. When you are under a lot of stress and feel constantly worried, you send messages to your subconscious mind that you are vulnerable and need protection. As a result your subconscious mind responds to this cry for help by creating an energetic wall. High levels of sadness, depression, anxiety and chronic stress issues are often connected to having a Heart-Wall. The heart wall is made up of negative trapped emotions, including inherited emotions. 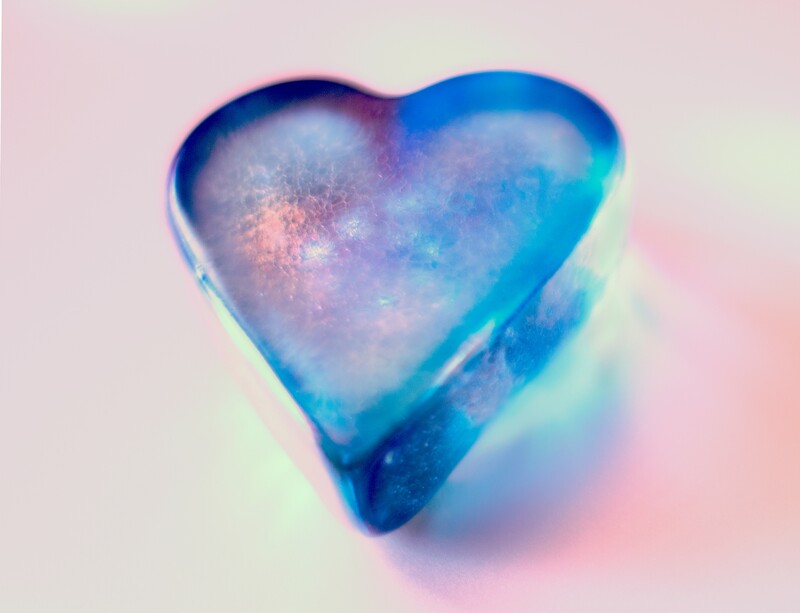 The heart wall is simply an energy shield that is used by the subconscious mind to protect the heart from further physical and emotional hurt. Your subconscious mind does this to prevent you from being harmed. The problem is that the heart wall keeps you isolated from the love of others. Also, when you send love, it becomes tainted by the negative energies of the heart wall. So, those who are connecting with you subconsciously perceive the presence of this energetic wall. It is possible to release the Hear-Wall and restore emotional health and balance. The term Heart-Wall was discovered by Dr. Bradly Nelson, a chiropractor who invented The Emotion Code healing modality. I personally believe that, the discovery of the Heart-Wall is one of the most profound discoveries in the history of energy healing. According to Dr. Nelson, about 93% of the population has a Heart-Wall (The Emotion Code, 2007). I have worked with people who created a layer of their heart-wall in their mother’s womb in order to protect themselves from negativity. You can have a heart-wall at any age and you keep adding layers on top of layers the more negative energy you accumulate along the way. Your subconscious mind is based on self-preservation and it’s ready to do anything to keep you safe. The heart is the core of your being: your true essence. 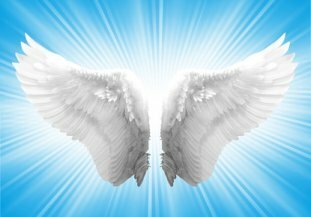 If something is wrong energetically with your heart, you are spiritually lost. You feel like a part of you is missing, as if you have lost your soul. It’s you heart that guides you in times of difficulty. It’s the heart that tells you that you are loved. It’s your heart that makes you believe in yourself before you have evidence of it. It’s your heart that makes you fall in love in the most unusual ways. It’s your heart that tells you to follow your life path. When you experience hurt, grief, or sadness your heart aches. You may even feel a physical sensation around your heart. Your doctor will not diagnose you as having a Heart-Wall, but he/she might diagnose you with depression, anxiety, or panic attacks. If there is nothing physically wrong with your heart, you may simply have a Heart-Wall. The subconscious mind resides within the energy of your heart. When you feel heartache too many times, the subconscious mind creates an energy wall to protect itself. When you work on releasing your Heart-Wall, you free yourself from negativity in your life. The highest level of healing is done by the heart. The energy of Love is emanated from the heart. Love emanates a healing frequency that can created miracles. We have been told about the healing power of love and how love heals everything. This is true. A Heart-Wall blocks your inability to give and receive love freely, including self-love. If you feel depressed, emotionally numb, isolated, and anxious you have a Heart-Wall. If you have been in difficult relationship, your Hart-Wall may be protecting you from further hurt, but also from finding true love. It is not uncommon for people to find fulfilling and long lasting relationships after releasing the Heart-Wall. When you have a barrier of negative emotions, you cannot be yourself. Have you ever gone on a date trying to impress the other person and feeling like you could not show your best? In times when you self-sabotage yourself and experience failure, the Heart-Wall may be a factor. (Do not despair; the other person most likely had a Heart-Wall, too. So, it was not all your fault if the date turned out a disaster). Having a Heart-Wall blocks your creative abilities, which connects you to the energy of prosperity. Your Heart-Wall is what may prevent you from following your own heart and passion. The Heart-Wall causes you not to have full access to your potential. This often leads to failure and self-sabotage. If you feel like you don't have the ability to success in life, you need to release your Heart-Wall. How can you follow your heart if it’s full of resentment, fear of failure, insecurity, indecisiveness, etc.? When it comes to manifesting abundance, the Heart-Wall will create obstacles in your path and it will make it harder for you to achieve your goals and dreams. If you want to feel energetically free from negative influences and self-sabotage, it’s vital that you release your Heart-Wall as soon as possible. Most people I work with have a heart wall. So far I have found a hand full of people without a heart wall. Children and adult alike develop a heart wall as a result of not feeling deeply and unconditionally loved. 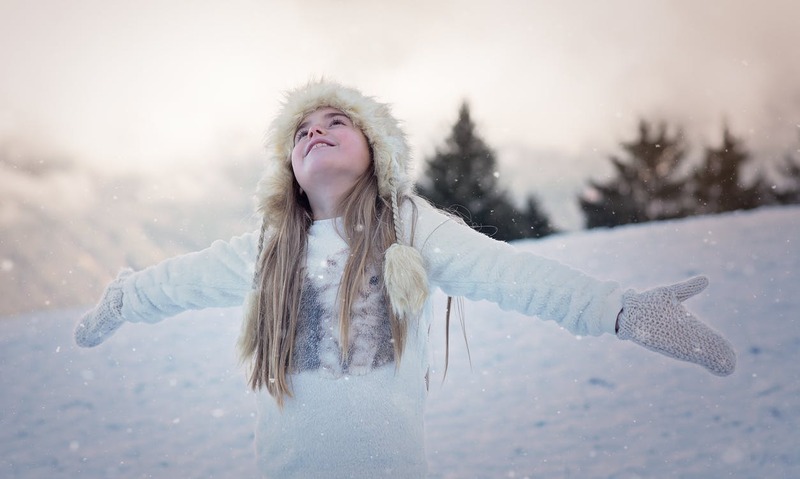 Children have less trapped emotions and releasing their heart wall will take less time. I have had cases during which the heart wall was created in the mother's womb as a form of protection from the negative environment the mother was experiencing. Upon releasing of the Heart Wall, people feel lighter, happier and more deeply connected with themselves and their emotions. Most people need about 1-3 sessions in order to completely release the Heart Wall.